Wisconsin&apos;s former top cop says corporate interests are trying to buy our state Supreme Court election. Former State Attorney General Peg Lautenschlager says Wisconsin citizens have the right to know the source of the money behind interest group advertisements. 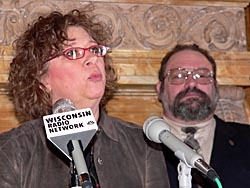 She claims hundreds of thousands of "secretive dollars" are already being spent on so-called issue ads that support Annette Ziegler &apos;s ( pronouce Ziegler ) campaign for Wisconsin Supreme Court. "The corporate interests of some sort — likely pharmeceutical companies — are attempting to buy this election." 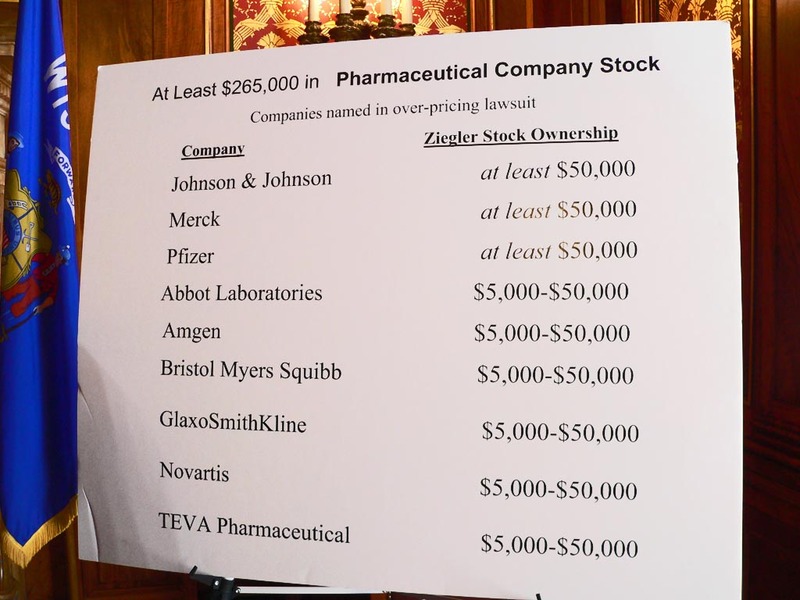 Lautenschlager also points out that the State of Wisconsin currently has 38 cases pending against pharmaceutical companies, and "Ziegler has a personal financial stake in the monetary success of pharmaceutical companies." Ziegler spokesman Mark Graul says there&apos;s no evidence that drug companies are trying to get Ziegler elected to the high court. Lautenschlager says, "I&apos;ll tell you what. I would put my house, my husband, my children and my dog on it, OK?" Lautenschlager says Ziegler&apos;s ethics report shows that she owns a minimum of $265,000 in pharmaceutical company stock , and yet never mentioned her conflict of interest. "Instead she uses what you all know to be a quote &apos;gut check&apos; to determine whether or not she has a conflict." Lautenschlager says the outcome of certain cases should not be determined by those who have a personal financial interest in the companies named as defendants. Graul says Zeigler is putting all of her stock holdings into a blind trust, to avoid any conflicts. Just a few days ago the Wisconsin Democracy Campaign, a government watchdog group, had filed a complaint against Ziegler alleging a possible conflict of interest. NOTE: Lautenschlager is now the State Chairwoman of the newly formed Democratic Judicial Campaign Committee , who is responsible for organizing Thursday&apos;s press conference at the state Capitol. Lautenschlager was joined by Democrat state Representatives Chuck Benedict, Mike Sheridan, Marlin Schneider and Gary Sherman.